Place Guardian Leak Detectors throughout your home to monitor toilets, basement doors, sump pumps, water heaters, appliances, sinks, drains, and more for leaks, floods. The Leak Detector can be placed up to 1000' away (line of sight) from the Valve Controller (sold separately) and over a hundred additional Leak Detectors can be added to your system to protect properties of all sizes and shapes. Also use to be alerted of freezing temperatures. 15-year battery life ensures long-term reliability and performance. The Leak Detector senses water using five different points of detection to provide installation flexibility. Contact your insurance provider for rebates and premium discount incentives for protecting your home with Guardian. 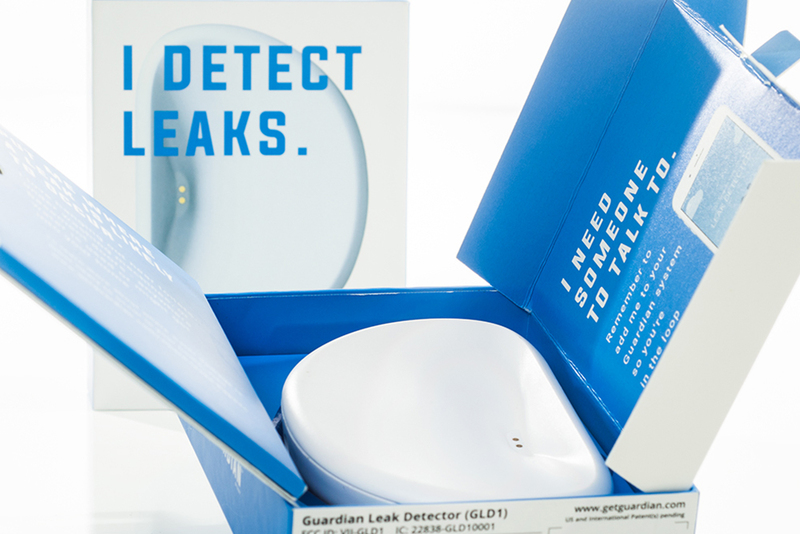 Save yourself thousands of dollars in water damage by using Guardian Leak Detectors throughout your home. 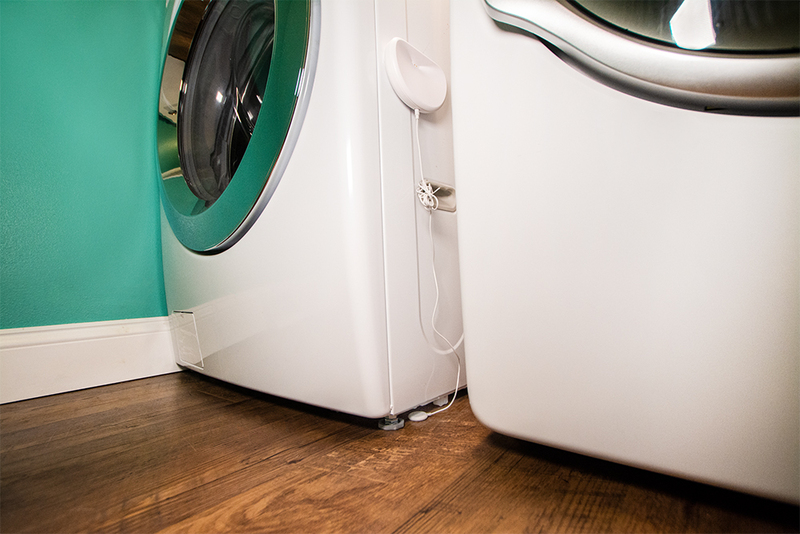 Whether you’re worried about a broken washing machine, an overflowing sump pump, or a leaking water heater, Guardian has your back! The moment a Leak Detector senses water or extreme cold, they will automatically send signal the Valve Controller (sold separately) up to 1,000 feet away (line-of-sight) to shut off your water main to prevent further damage. You will receive system notifications on your phone via the Guardian app. The average U.S. home is estimated to need 6 to 8 Leak Detectors to properly cover the most common areas where leaks occur: toilets, refrigerators, freezers, water heaters, washing machines, dish washers, HVAC, basement doors, sump pumps, sinks, drains, etc. Our three-pack is a convenient option to help configure your sensor setup.